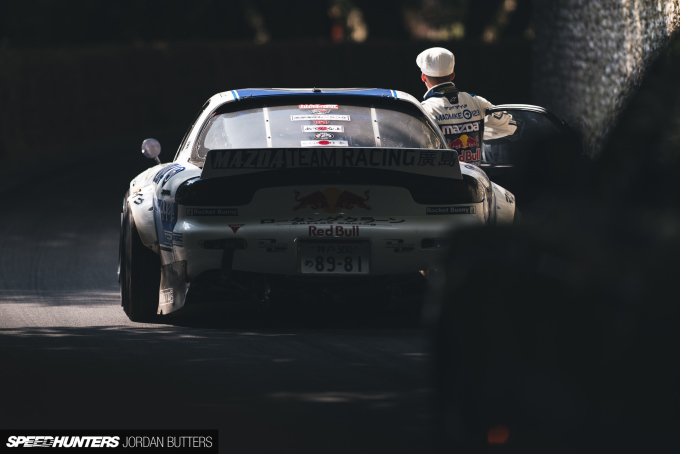 In its relatively short time on this Earth, drifting has evolved from an underground niche practised on the mountain roads of Japan, to an bustling industry, motorsport and lifestyle. It’s fair to say that, 10 years ago, if you’d have mentioned ‘drifting’ to a non-car person (we do occasionally have to talk to them) they’d have looked at you with a blank/confused expression on their face. 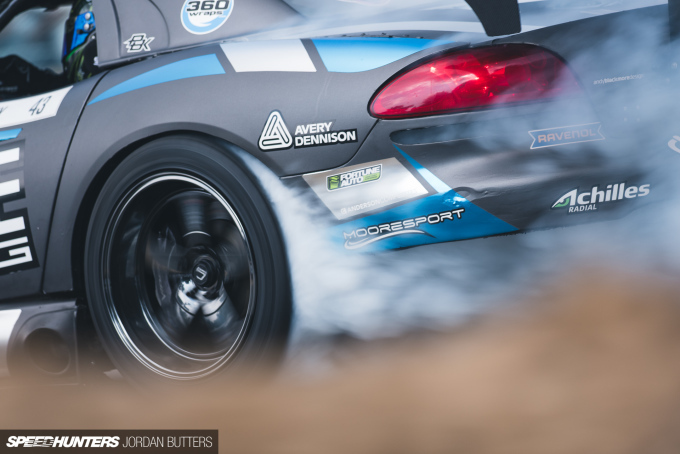 Now, in 2018, drifting is closer to being mainstream than we could have ever dreamed. 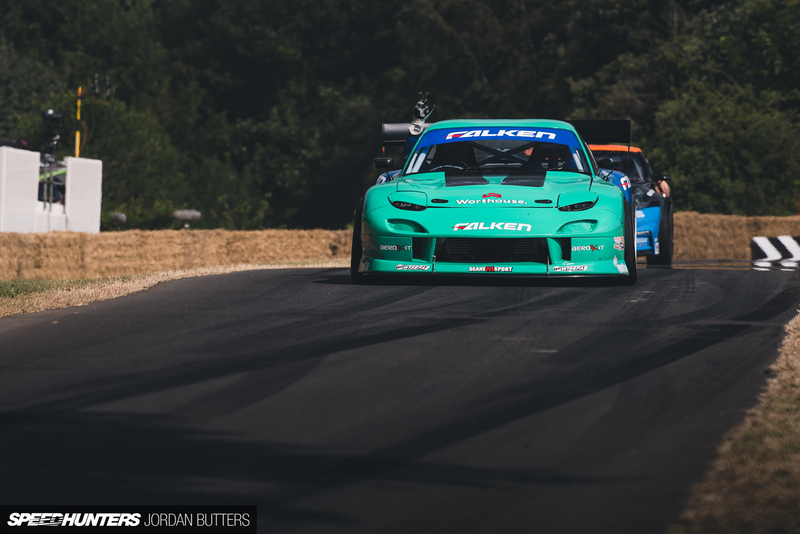 Regardless of whether you think of it as a valid motorsport or not, there’s no denying drifting’s place in modern car culture. 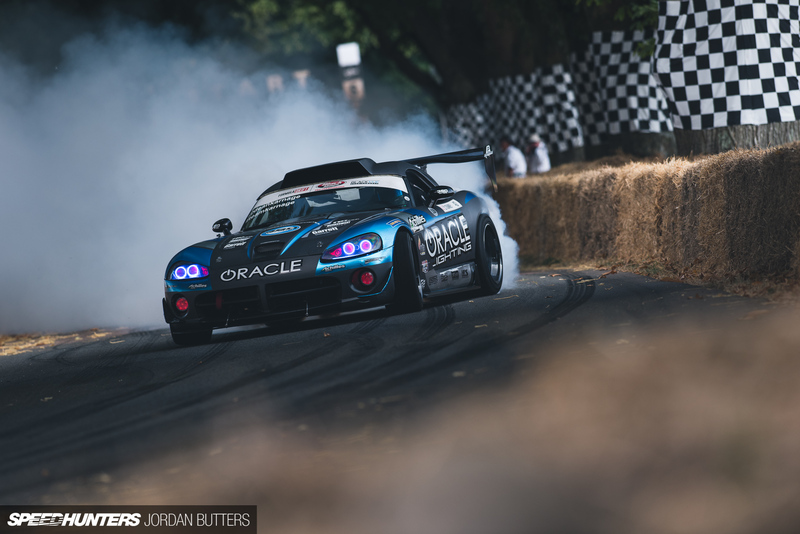 While it still very much lives on the internet, it can now be found on prime time TV, in magazines, video games and, in one form or another, at almost every car show or event you go to. 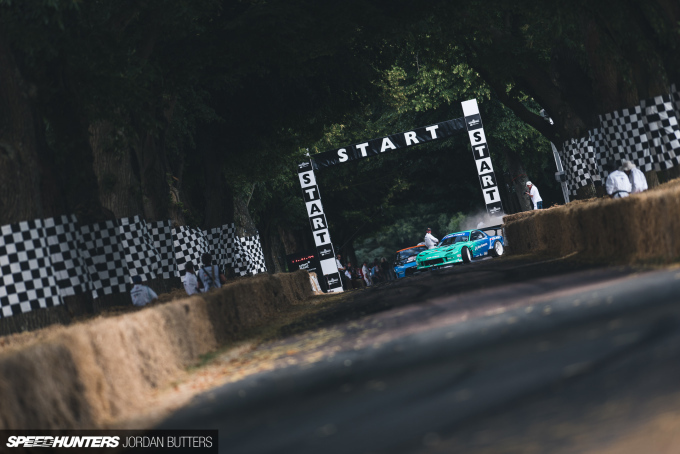 I remember, fondly, the disdain that drifting garnered from some people when they heard the news that it was to feature at the Goodwood Festival of Speed in 2014. This quickly turned to amazement and admiration as ‘Mad Mike’ Whiddett ripped up Lord March’s driveway and unexpectedly stole the show. 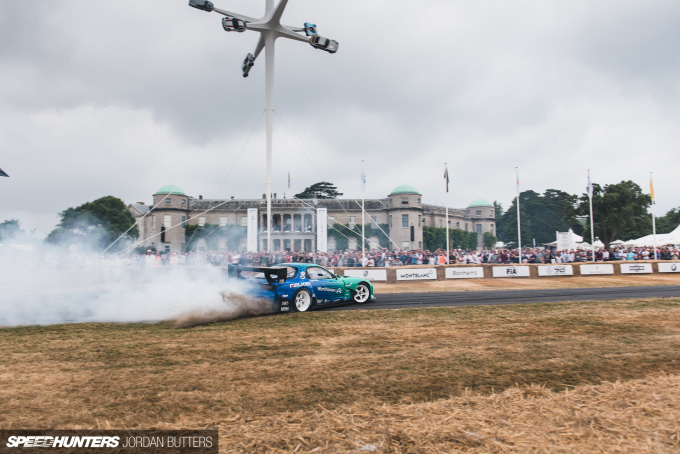 Drifting has become a permanent fixture at FOS ever since, and it still impresses me that the crowd during the drift show is notably larger than during any of the other displays – and it isn’t exactly keeping shabby company! Then there’s the progression in technology and professional builds. 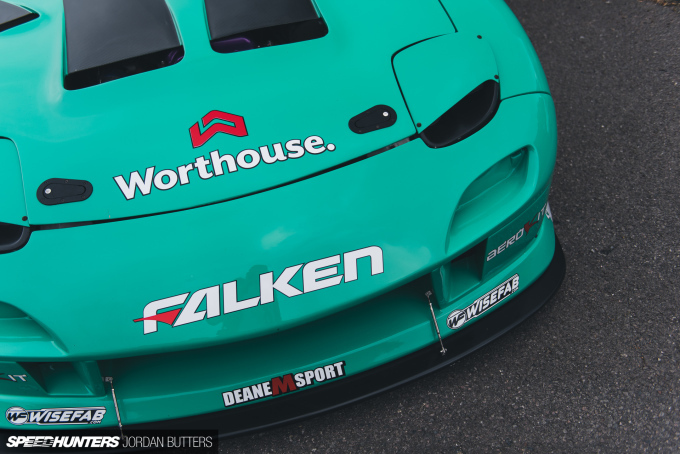 Pro-spec drift cars are some of the most powerful road-car-based motorsport machines in the world. Back in 2010 if you had 350hp, chopped and welded lower front arms and decent enough part-worn tyres you were balling. Now, unless you’re running on super sticky track tyres, have copious amounts of steering angle from an an adjustable geometry setup and pack 600hp+, forget about it. 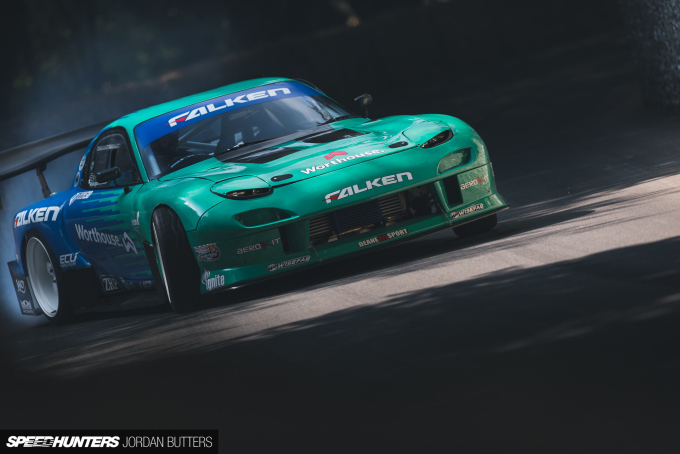 The top drivers aren’t quite household names yet, but drifting has opened the door for them to become celebrities of car culture, each commanding their own army of fans and impressive sponsorship deals from brands that we could once only dream would be interested in being involved in the sport. 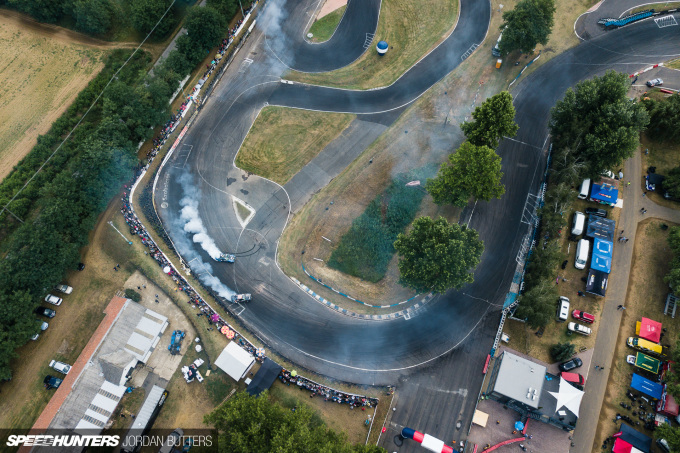 At a competition level, events are getting bigger and more ambitious, with drifting being flexible enough to mould and fit into both prestigious, established venues and racetracks, and brought to the people in the form of custom street events. 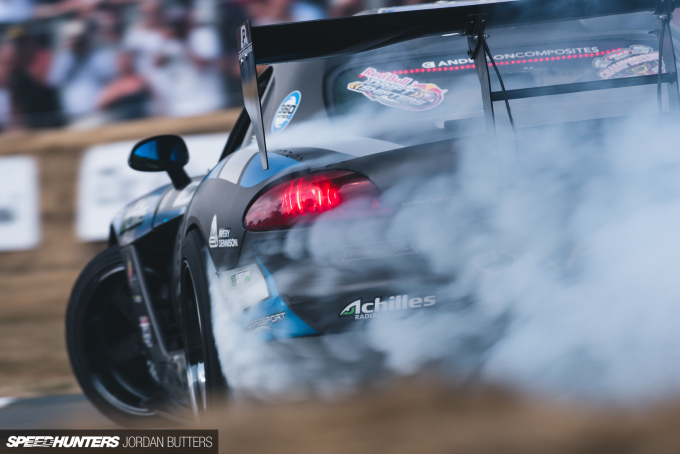 Despite all this, there’s still one area in which drifting has always, and continues to struggle, and that’s the competition format. 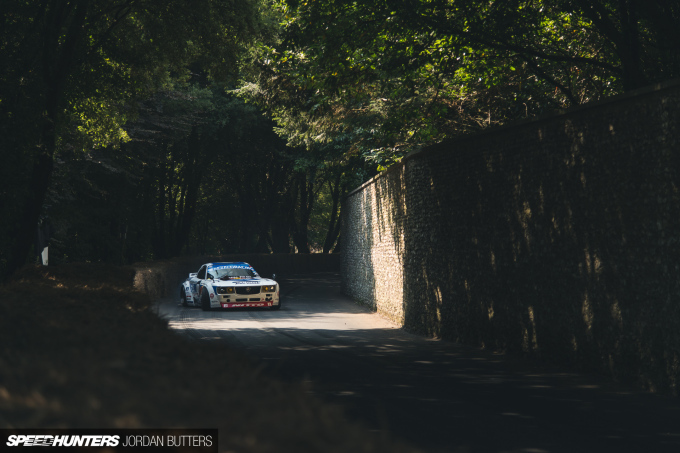 Drift events are lengthy, often running for six or more hours continuously. Then there’s the downtime, which organisers have strived, and succeeded largely, to cut down, but something that still exists in one form or another. 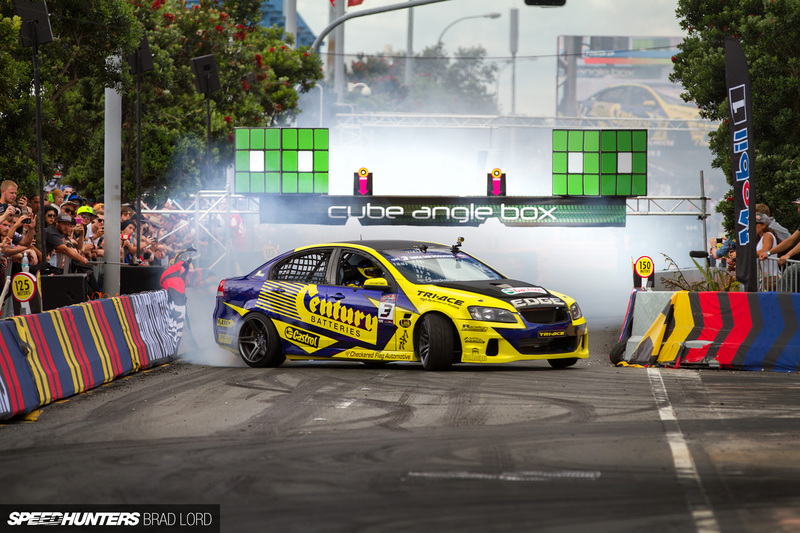 This drawn out, unpredictable stop-start format is what kills drifting’s hopes of being a concise, televised sport. Then there’s the judging. This is what many motorsport enthusiasts still struggle to overcome – there’s no timer and the first across the finish line is irrelevant. It’s a subjective sport, and one that relies on human judgement – this is easily swayed by favour, mood and endless other factors out of our control. To err is human, after all. 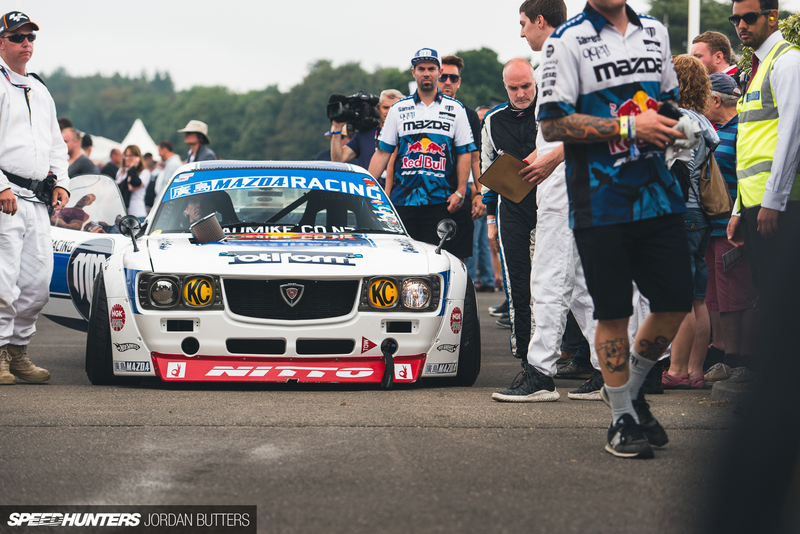 Judging makes drifting hard to understand as a newcomer. You have to invest time and effort into understanding why calls are made, and that’s enough to put some people off. 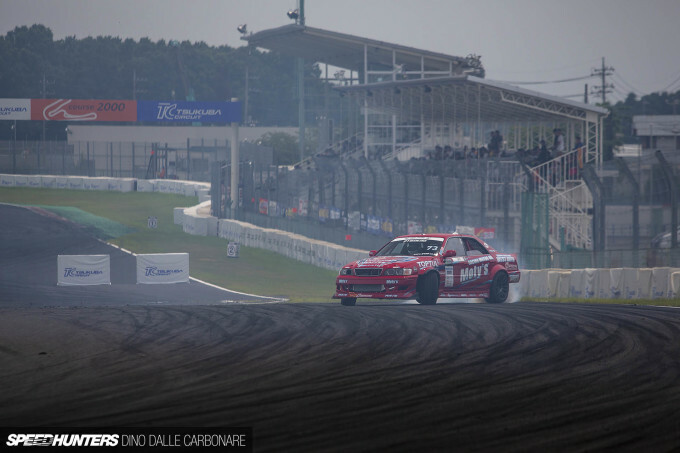 Some organisers have attempted to overcome this; D1GP in Japan uses Racelogic DriftBox telemetry to judge speed, angle, smoothness and transitions. It’s a controversial approach, and I do think that we should be using modern technology to make drifting great again (MDGA), but I don’t think the D1GP method really works with the existing competition format. 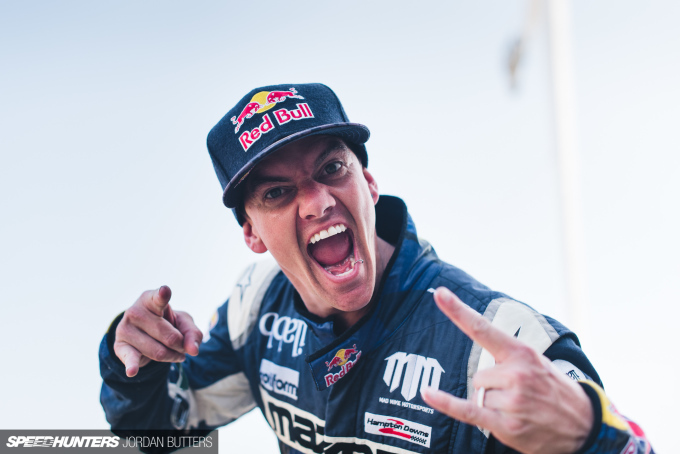 Red Bull Drift Shifters is Mad Mike’s baby; it’s a format that first ran in 2012 on the streets of Auckland, New Zealand, and one that a lot of time and energy has gone into perfecting. It’s an event that’s proven hugely successful with all who have witnessed it. 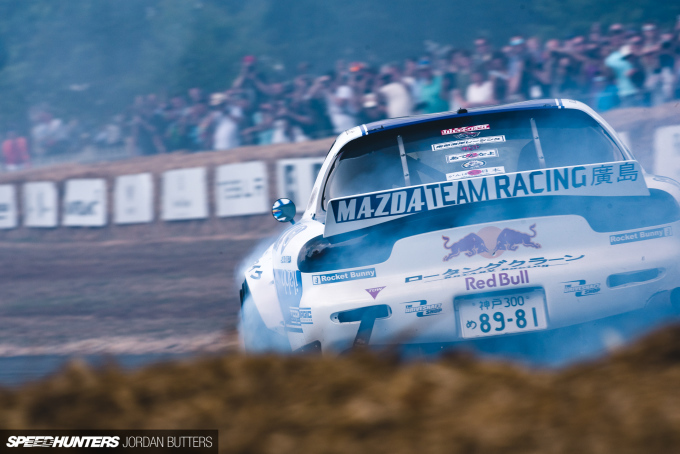 Now, for the first time, Red Bull Drift Shifters is heading overseas. In just over a week’s time the explosive show lands in the heart of charismatic Liverpool, England and it’s going to be wild. It’s drifting, Jim, but not as we know it. 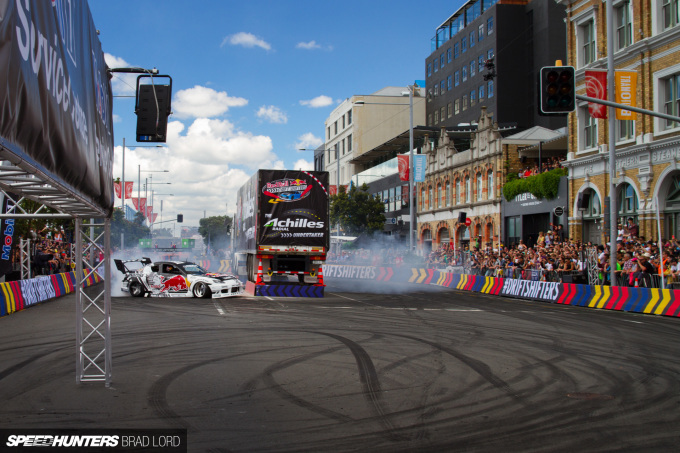 Doing away with the traditional qualifying/tandem judges format, Red Bull Drift Shifters throws the drivers solo into a compact and colourful pinball machine-type layout, with the aim of racking up as many points by going through speed, angle and proximity sensors and stacking combos and multipliers. There’s no pre-defined course or line, the drivers must set upon a routine that allows them to navigate the obstacles and layout to achieve the maximum possible score. All the while the score climbs at lightning pace on the scoreboard for the crowd to see. There’s no questioning whether the run was good or not, or waiting for the judges to deliberate – it’s all automated and all happens in real time. 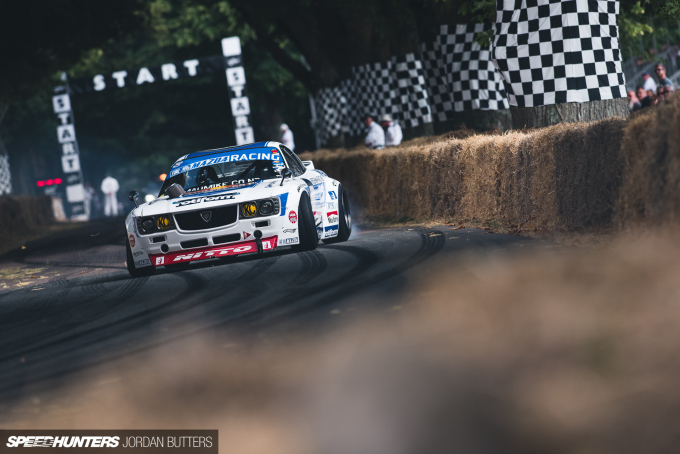 Engines roar and tyres scream as the cars scrape bumpers on walls chasing down those few extra points, and all the while the crowd are almost on top of the action. Liverpool won’t have seen anything quite like this before. Here’s none other than Mad Mike himself testing the course layout ahead of next weekend’s event build up in Liverpool. Make no mistake, it’s a tight and technical circuit in a confined place with lots of risk involved. Now replace all of those friendly orange cones with solid walls and all of the weird and wacky obstacles we’ve come to expect from Drift Shifters and you’ve a feast for the senses. 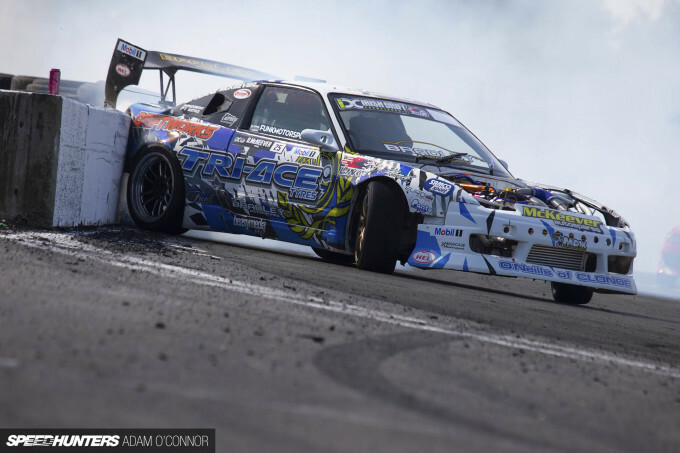 We can also now reveal the full drivers list for Drift Shifters’ rendezvous in Liverpool. 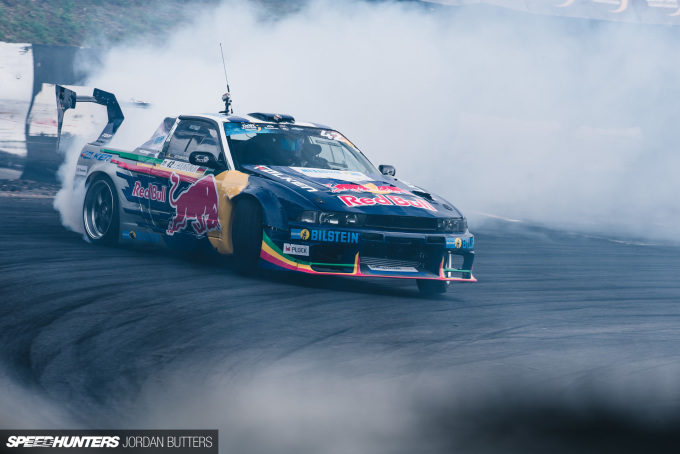 Red Bull has brought together one of the most diverse and talented rosters from around the world of drifting to go head-to-head at this unique event. 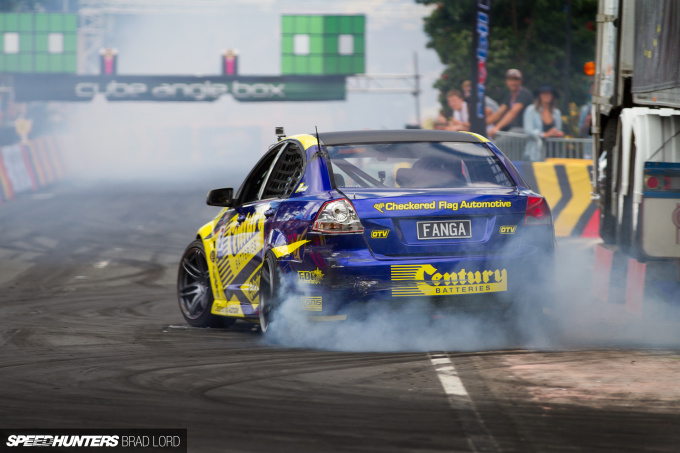 Joining Mike on the flight from New Zealand is 2013 D1NZ champion ‘Fanga’ Dan Woolhouse, who is bringing his 670hp Ford Mustang RTR 5D halfway across the world to throw it down, and four-time New Zealand drift champion Gaz Whiter in his 680hp Nissan Silvia. Also present, and with a somewhat shorter commute are Norwegians Joachim Waagaard in his supercharged LS-powered BMW M4, and Formula Drift star Fredric Aasbø in his Toyota 86. Fresh from the madness of Gatebil, I wonder how this crazy course on the streets of Liverpool will compare? 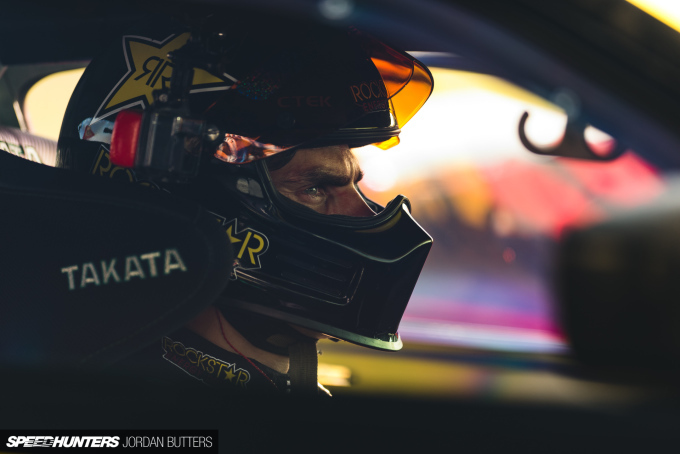 Then you’ve the man to beat right now – defending Formula Drift champion and current European and Formula Drift points leader James Deane. 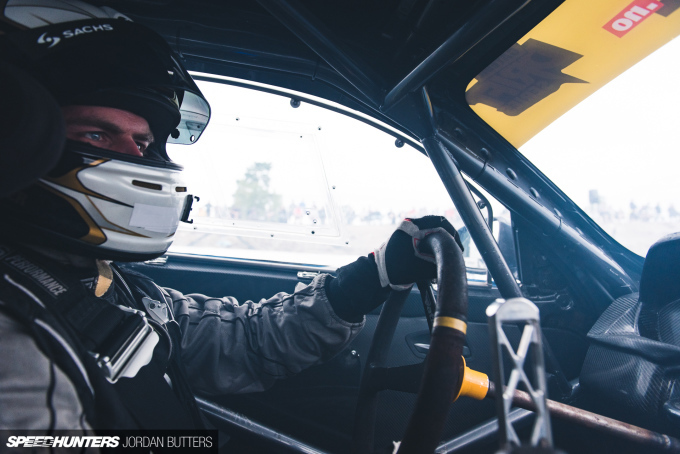 James is on a run of back-to-back victories across the continents and is making the overnight flight to Liverpool from competing in Poland the day before Drift Shifters. 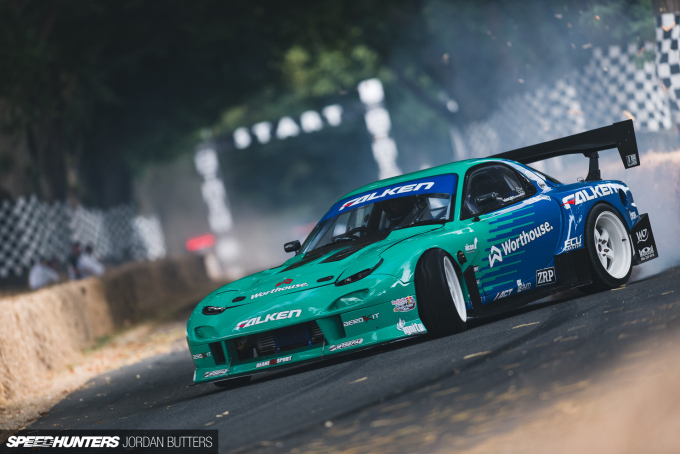 James will be piloting his SR20-powered FD3S Mazda RX-7 and, although he’s setting the standard in competition drifting at present, it’ll be interesting to see how well he fares in this very different format. 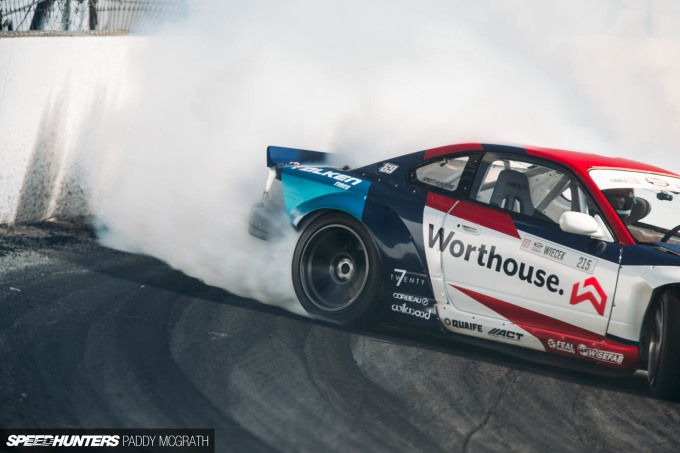 We can now exclusively reveal that joining James on the flight from Poland will be his Worthouse Formula Drift teammate, and last year’s Formula Drift Rookie of the Year, Piotr Wiecek. Piotr’s fast and aggressive style of driving has taken him from one of Europe’s biggest threats to a championship contender in America in his second ever season competing over there. 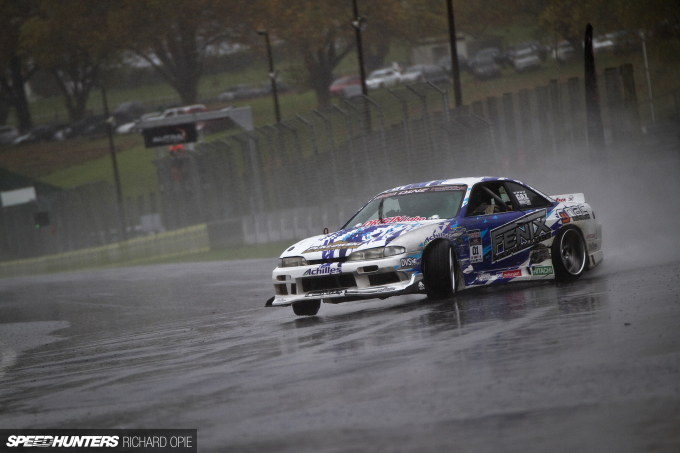 He’s one to watch, and will be bringing his R34 Nissan Skyline European competition car to the fight. 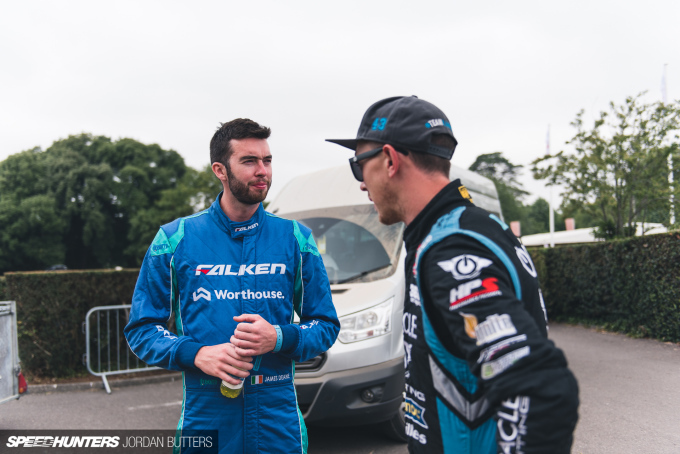 Also visiting from the Formula Drift roster is Hawaiian Forest Wang and Ireland’s Dean Kearney. 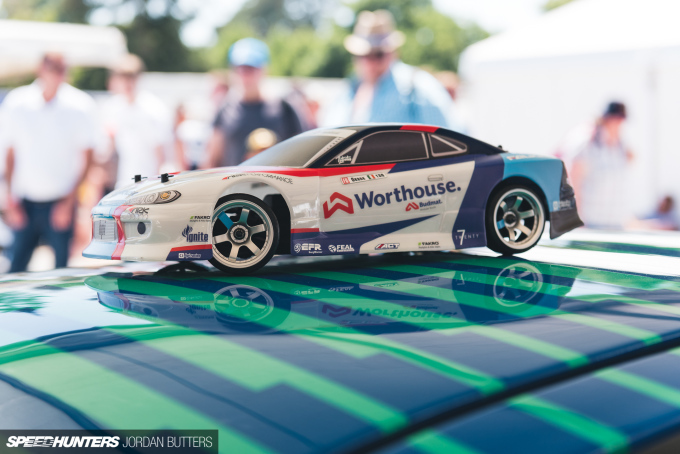 Wang brings with him endless flair and style in his Nissan S14, and is a consistent fan favourite, while Kearney will be piloting his 1,100hp V10 Dodge Viper in the shadow of the Royal Liver Building. Just imagine 1,100hp lighting up the streets, just a few feet away from where you’re stood – Liverpool won’t know what’s hit it. Drifting was born in Japan, and so it seems only right that we’ve Japanese presence at Drift Shifters – who better than multiple D1GP champion and winner of the first ever FIA Drifting Cup, Masato Kawabata? Kawabata-san is sure to impress, leaving his R35 GT-R at home and keeping it simple with a 180SX and over 500hp under his right foot. Representing the home nation, and hoping to get the Liverpudlian crowd behind him is two-time British Drift Champion Matt Carter. Matt is known as one of the best tandem drivers in Europe, so it’ll be interesting to see how he adapts to running solo around this tight and technical course. The final – and as yet unannounced – driver joining us in Liverpool is Lebanese Red Bull athlete Abdo Feghali. 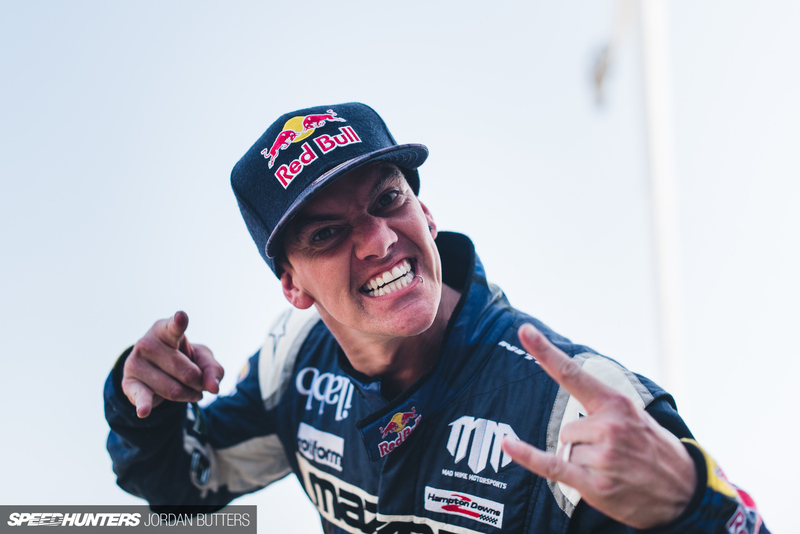 Rally driver and founder of the Red Bull Car Park Drift series, the addition of Abdo to the roster shakes things up, as many of the other competitors won’t have shared the circuit with him previously. 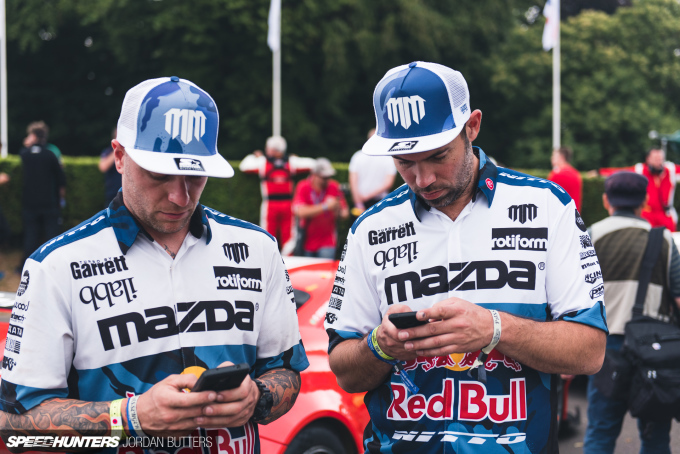 With Abdo completing the Red Bull Drift Shifters line up for 2018, there’s one driver left waiting in the wings. 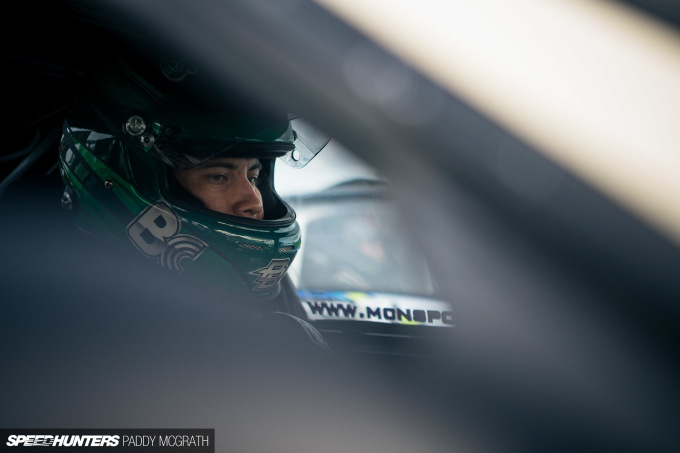 Two-time IDC champion Duane McKeever has been drafted in as the first reserve driver, and will be on site to be called upon should any of the other drivers need to retire from competition – a possible occurrence on such a high-risk circuit. Duane will no doubt be patiently awaiting a chance to show the world what he’s capable of. 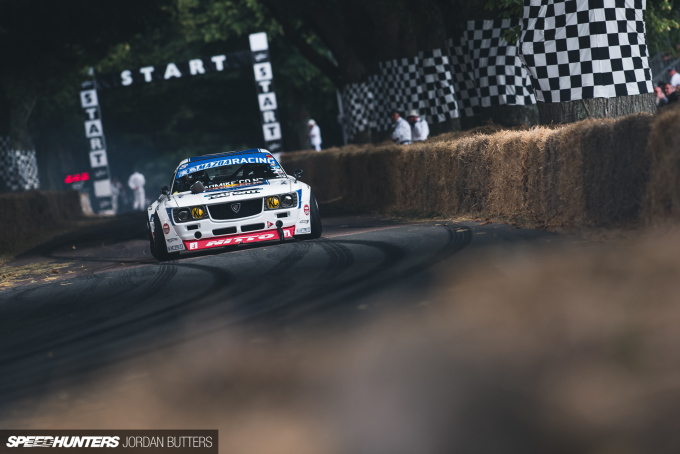 The good news for you is that Speedhunters is hitting Red Bull Drift Shifters in force, with both myself at Paddy making the trip to Liverpool for the event. Over the course of the weekend we’ll be bringing you exclusive content as and when it happens from the streets.